Atlanta, Georgia (THE WIRE PRESS) – Coinciding with Computer Science Education Week, Turner’s Cartoon Network announced today a new board of leading industry and academic experts who will advise, shape and inform the network’s STEAM (Science, Technology Engineering, Arts and Math) efforts. Mimi Ito is a cultural anthropologist of digital culture and an advocate for connected learning – learning that is youth-centered, interest-driven, hands-on and social. Her research looks at youth engagement where creativity, technology and learning intersect. This includes a three-year collaborative ethnographic study, funded by the MacArthur Foundation, examining youth new media practices in the U.S., and focusing on gaming, digital media production, and Internet use. Her work on educational software appears in Engineering Play: A Cultural History of Children’s Software. She also serves as research director of the Digital Media and Learning Research Hub and as chair of the Connected Learning Research Network. She is also co-founder of Connected Camps, a benefit corporation that provides online creative learning opportunities for kids in all walks of life. 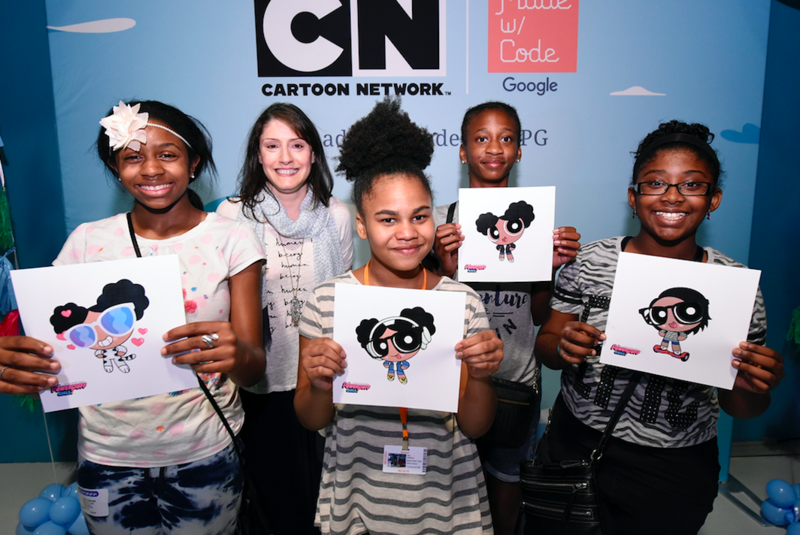 Learn more about Cartoon Network’s work to engage children in creative coding at http://www.cartoonnetwork.com. Cartoon Network is Turner’s #1 U.S. ad-supported cable network with kids 6-11. Seen in 192 countries and over 370 million homes, it is an industry leader known for putting its fans at the center of everything by applying creative thinking and innovation across multiple platforms with a global offering of the best in award-winning animated entertainment for kids and families. Home to the original hit series Adventure Time, Steven Universe, The Powerpuff Girls, We Bare Bears and The Amazing World of Gumball, Cartoon Network also takes its responsibilities to its audience seriously by addressing those issues affecting families with the Stop Bullying: Speak Up campaign and by promoting education and creative development through their commitment to STEM enterprises and an integral involvement in Computer Science for All, the White House initiative empowering young people to generate skills to thrive in our digital world.